I’ve been trying to encourage my kids to pack their own snacks and lunches for school. Putting all individually packaged snack items in this shoe holder has made it easy for them to select which items they want every day. 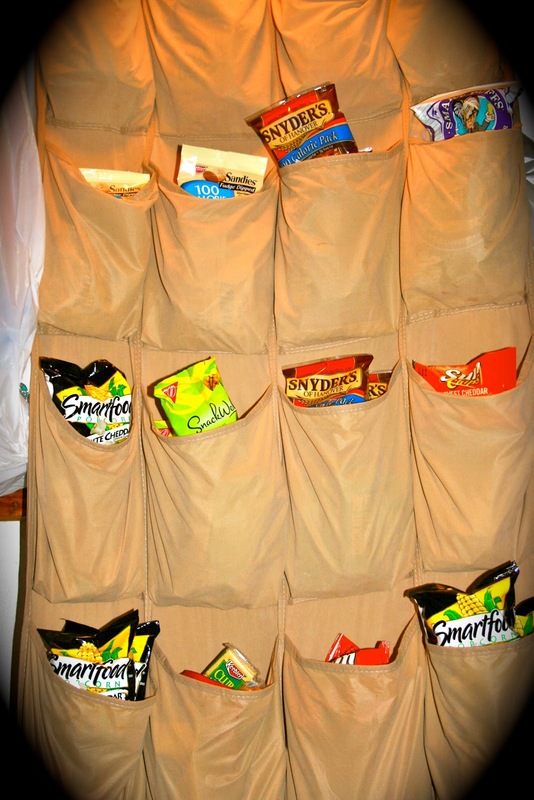 It also makes it easy for me to tell which snacks I need to re-stock. We have it hanging in an out of the way place in order to discourages extra snacking. It's always helpful when the kiddos can do something for themselves! This is a really good idea - thanks for sharing!